Being expats and travelers we are away from “home” a lot. Which means we often miss food from our native US. Little did we suspect that we would find tastes from home half the world away, nearly as far from our current home in Germany. But we did, all kinds of great eats in Kiwi-Land. Ok, burgers are not really specific to any country. You are as likely to find them in an Irish pub as anywhere else, but I love me a cheeseburger. A nice juicy one. 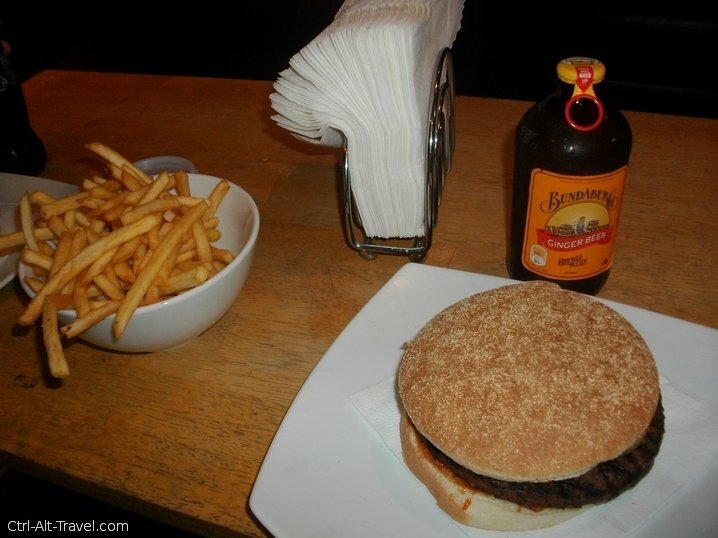 German places, in my opinion, overcook their burgers, so they often end up dry. So to find a decent burger in New Zealand was cool if not earthshaking. Velvet burger is where we ended up one cloudy day in Dunedin. Just looking for something to eat and figured burgers could be good. Oh man they are. Everything from beef to chicken to their “velvet burger” which is deer meat. (Deer get farmed for their meat here.) 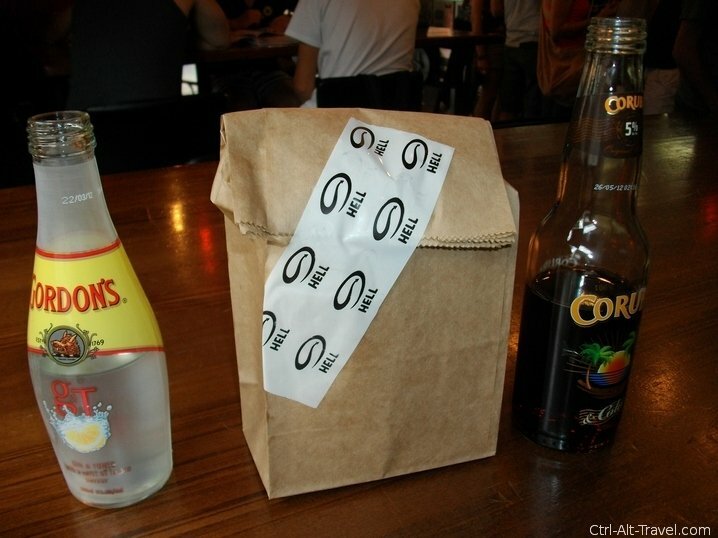 With some tasty fries and a ginger beer I was happy. We ate there a number of times. Though the last day we went it was closed for New Years. Enter Auckland. Velvet burger is a chain across all of New Zealand so when we found one in Auckland we went there, twice. Another great thing about it, it has a bar. So you can get a cocktail with your burger. Oh yeah and make sure you get some of the garlic aoili dipping stuff for the fries. While Velvet Burger was a big find in Auckland it had some competition for our favorite place. That ended up as Sal’s Pizza. Ali found it when she was in Auckland ahead of me for a few days. Right across K-Road from her hostel was this place that was just plucked from a New York City corner. The classic red booths and a big TV running 80’s music. According to their website they import all of their ingredients but the water from the US. We ended up eating there once a day (sometimes twice) while we were in Auckland. Yes it was that good. Even just sitting in the place made me feel like I was back in the US. One day we walked in and their were playing college football. I haven’t seen that in years and I got to watch my team play (Go Hokies!!). Ok they lost, but still it was awesome. 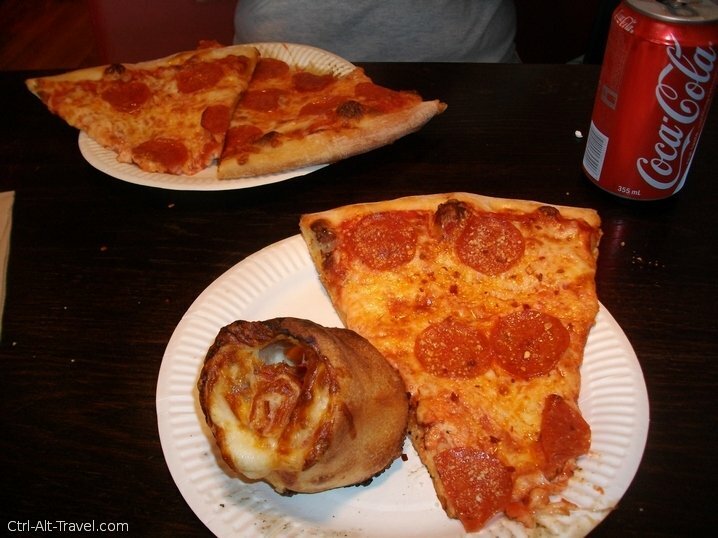 Although nothing can compare to real New York Style pizza, there were other pizza options in New Zealand. We even saw Domino’s in a few places. 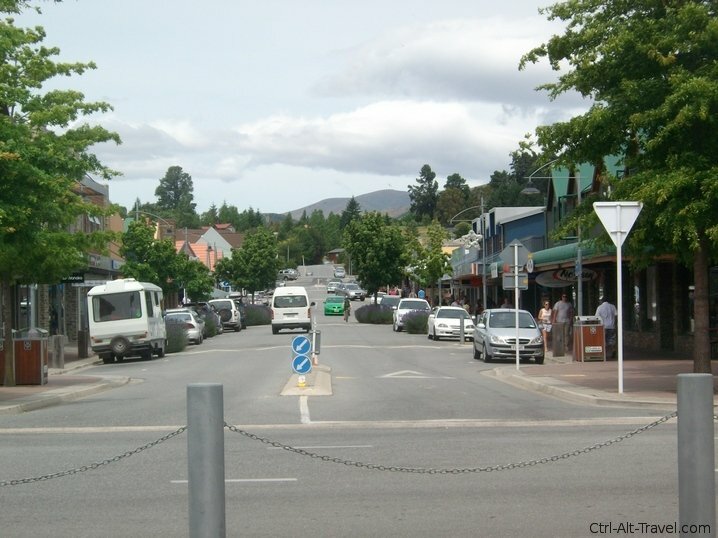 We ended up in Hell a few times in Queenstown and saw another one in Rotorua. Hell is a damnation themed pizza chain in New Zealand. The one in Queenstown had little plastic heads on strings from the roof. And the menu goes all the way with the theme advertising pizzas in sizes as to how many “souls” it will feed. I love pancakes. Really, they are my breakfast food of choice. 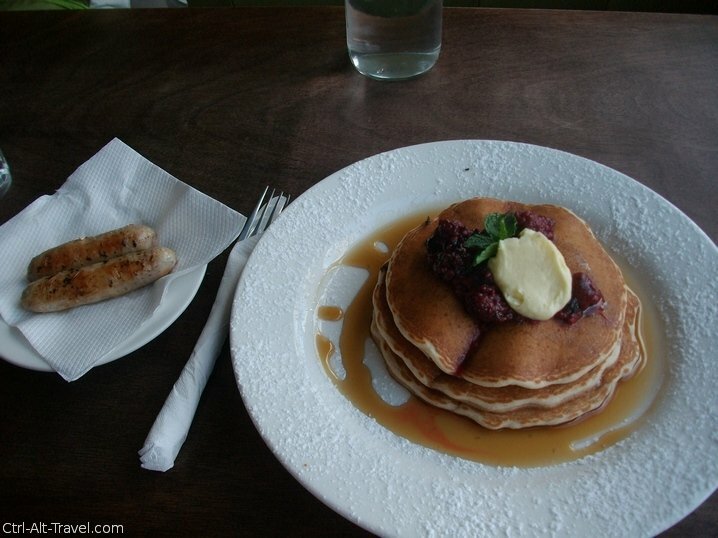 After an early morning ride into Wanaka, I was quite happy to sit upstairs at a cafe with a big stack of pancakes and breakfast sausage. And nice fluffy ones too, unlike some of the flatter cousins that are nearly crepes that we see here in Europe. If you want to see a food culture of a place, go to the grocery store. The restaurants are great and show definitely something, but if you want to see how real people eat check out the groceries. I love wandering around grocery stores for this reason. That and it is just fun. Sometimes you see things you don’t recognize and it is fun discovering. Though sometimes you find things you do recognize, but are wrong somehow. Really rice bubbles do not sound that appealing. Where is the marshmallow creme for rice bubble treats? I like this irony and mental picture. I read somewhere that Australia is the only country that eats its own national symbol. 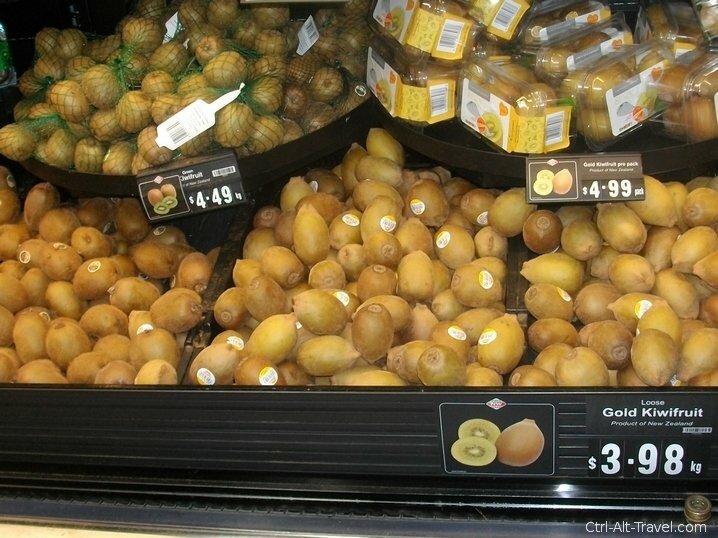 Well not to be outdone you can eat kiwis in kiwi land. Ok, not the birds. Definitely not. They are both endangered and cute. But the like named fruit is pretty common. How cool is that? We went around the world to a tiny island chain in the middle of the ocean and get better home style food than right around the corner in Germany.